Did you know over 70% of visitors who abandon your website will never return? With Engage Box (before Responsive Scroll Triggered Box) you can turn those visitors into subscribers & customers. This Joomla Extension will boost your conversion rates and help you convert visitor into subscribers & customers. 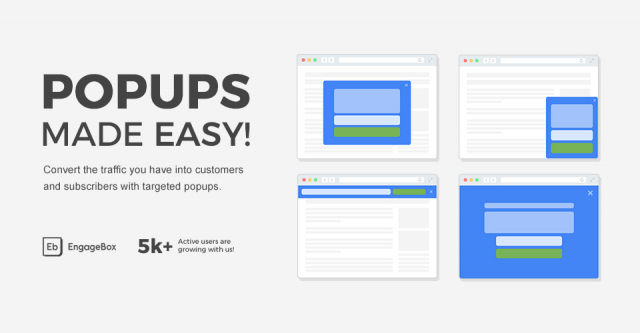 Popup any existing module, Display a responsive email subscription form or just write your own custom html!